My recent trip to Chilean Patagonia’s Los Lagos area (lake region) makes a pretty good occasion for a gear review, due to the diversity of the water and the force–and unpredictability–of the weather. In many ways, it felt like several trips crammed into one. There was casting outsized dragonfly pattern to the reedy edges of blue-tinted bays. There was presenting size 20 dries to sipping rainbows in big-water eddies. There was bombing out big streamers in lakes and rivers, then finessing spookier mid-day fish on river-mouth flats. Sometimes we did all of those things on the same day. Here was some of the gear that rose to the challenge. 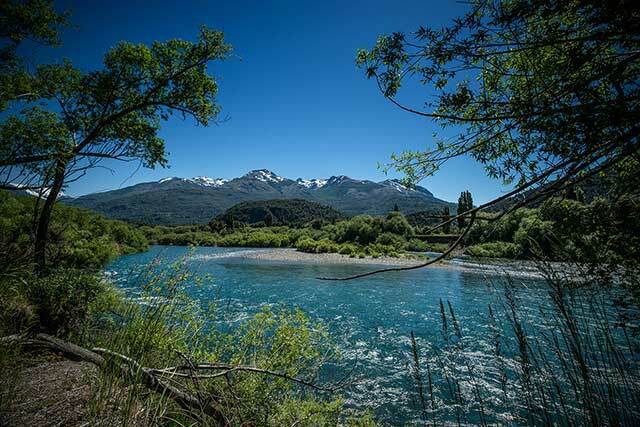 Dries or streamers, lakes or rivers, in Patagonia you’re going to be contending with a lot of wind. 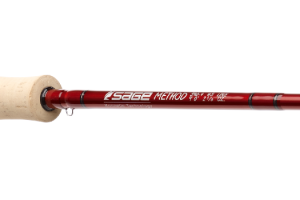 My favorite rod going for extreme freshwater applications is still the Sage METHOD. There are newer rods on the market, but nothing else I’ve fished is quite so Beast Mode for wind. An ultra-fast rod like this, with plenty of ability at the far end of a normal human casting range, is especially useful when fishing out of a boat, which, given the size of the lakes and rivers of the Los Lagos region, is what I did exactly 100 percent of the time. Another reason to consider adding an ultra-fast rod to your quiver has less to do with the cast than with the retrieve. Put simply, stiffer tip sections make manipulating large flies at distance much easier and more efficient. More energy is transmitted to every pop, shimmy and shake you perform with your rod tip between strips. In short, an ultra-fast rod can make you a more accomplished long-distance streamer puppeteer. For streamer fishing, I like RIO’s OutBound family of streamer lines: the aggressive head means you can get your cast going in a minimum of casting actions, even in serious wind. I fished the 7 and 8-weight S-6 (6.0 ips) in the rivers and on overcast lake days and switched to the S-I (1.5 ips) with it’s clear tip for working more delicate streamers through the reeds in search of hungry mid-day rainbows. For fishing dries at distance and in wind, RIO’s Connect Core family of floating lines give the advanced, fast-action caster the most direct connection to their casting stroke. I especially benefitted from the the low stretch of these lines one insanely gusty day when fish were eating dragonflies in crystal clear water and our only actionable boat position required that we cast almost straight into the bluster. It was tough going until I hacked the wind by underlining my 7-weight rod with a 6-weight InTouch RIO Grand. I was surprised at how well this impromptu combination fished—the line speed I was able to generate helped me make those more difficult casts. More generally, I realized the utility, at a time when over-lining is a much more common practice, of seeing how a given rod performs at the lower end of its line-weight class. Any bag bag that claims to be not water resistant or water phobic but water proof has to earn your trust. The first thing you think when you bring the Fishpond Westwater Roll Top Backpack out of the box is, “This thing is really well-engineered.” The material is thick and sturdy, the stitching fiercely tight. It’s a bag that feels like it’s up to the task of suffering your favorite abuses for years. 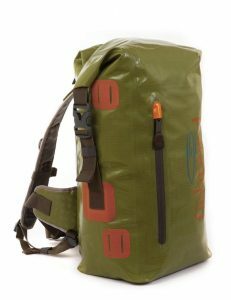 I used this as both a multi-purpose hiking day-pack as well a boat bag. One advantage a roll top has over conventional hiking packs is that you can adjust and readjust the size and shape of the pack as the day wears on. If things get cold and rainy and you end up largely emptying it out to access your warmer layers and rain gear—or if you make it through all your food—just press the extra air out and compress the pack down to its most nimble self. The pack holds quite a bit of gear, and holds that weight well. I loaded the back to the hilt for a glacial hike and found the stiff foam back provided the right amount of structure to keep things comfortable and ergonomic, and the chest and sternum straps helped me maintain peak form. There’s also a shallow zippered storage compartment for housing small items you might want to access more easily—electronics, maps, that sort of thing. This bag—with one modification—has replaced my Kata Camera backpack for hauling my camera kit during long hikes. That modification comes in the form of the Ciesta Flexible Camera Insert, which I place on top of whatever clothes and heavier equipment I’m carrying I’m packing. The large size fits the bag perfectly, which is to say snugly—you may have to finagle the angle a little. With this set up I was able to carry a full-frame DSLR, a 35 mm f/1.4, a 15 mm f/2.8 and 70-200mm f/4. I kept lighter accessories in neoprene reel cases that sat on top of the insert. I feared no rain. As with all Fishpond items, you can feel good that you’re buying not only an American-made product, but one comprised of recycled materials. The more efficiently you pack clothing-wise, the more space you’ve got for fun stuff. When you can wash your gear in the sink with a bar of soap and trust it to be dry by morning—or, better yet, wear it for several days without it going to stink—you can get away with far fewer items. A good base layer is the obvious place to start. 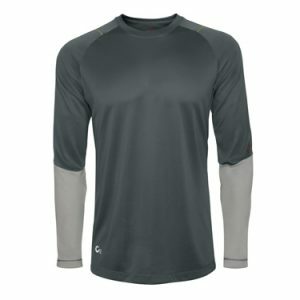 On any day I’m expecting cooler temps, I like Redington’s SonicDry Base Layer Crew for it’s moisture-wicking properties, it’s anti-odor technology, and maybe most importantly the ergonamics of its cut. An underlayer should be snug, but a lot of times the snugness comes at the expense of mobility. I can’t speak for all body shapes, but their fit-algorithm fit mine perfectly, and was totally comfortable against bare skin. The Patagonian piscator will want to carry a quality rain jacket at all times, if not for the rain, then for the inevitable wind and long (cold) evening boat rides back to the lodge. 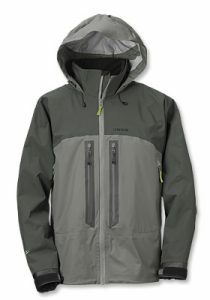 The Orvis Sonic Tailwaters Jacket fixes a lot of problems I’ve encountered with previous wading jackets. Firstly, the chest pockets are side-access, which means you don’t need a triple-jointed shoulder and octopus wrist to dig stuff out from the nether regions of your chest pocket. Second, the male end of the velcro cuff-straps are thinner than the receiving patch–which means there’s no opportunity for your fly line to hang up. Lastly, the hood was generously cut but still ergonamic enough that it maintained it’s ability to stay up and in position in a headwind. It doesn’t hurt that it looks good and is reasonably priced. I also really dug Orvis’s Firehole Grid Fleece, unique among fleeces in that its micro-grid patterns creates a sense of loft–an effect you’d usually associate with down. It’s warm, comfortable, and soft. At the end of the long day on the water, sitting next to a wood stove with this fleece on is as close to wearing a cloud as you’ll come without debasing yourself with a Slanket. Mine has become one of those technical items that also sees plenty of civilian action—longer plane flights and football Sundays (their green and cheddar is a winning combination for Packers fans). There’s more to do in Patagonia than fish, of course—among other things, there’s great hiking to be had. For pants, I wanted something multi-discplinary enough to serve me well on aggressive hikes and also keep all my pliers, floatants, hook files and what not handy on the boat. I picked up my first pair of Kuhl’s Liberator Convertibles—and after the trip bought a second in a different color. They have the smartest constellation of pockets I’ve come across, and I especially like how the pockets are cut—slightly narrowed toward the opening. This means you can keep things both accessible and safe. When fishing from a boat, sometimes having things in your pockets is even more convenient than having them on a lanyard or zinger. The Kuhl’s cut is less baggy than some other cargo or hiking pants, so expect to get a size larger than you typically wear. A good pair of glasses in the lake region is as essential as on a saltwater trip. When you’re guide spots a moving fish, you need to see it on the first scan or risk missing your shot. I’ve narrowed my visual kit to two products from Smith Optics–their ChromaPop and Low Light Ignitors–which have performed well in a variety of different light conditions and water types over the past year. 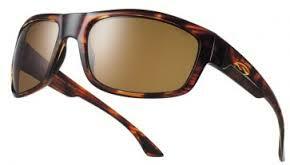 ChromaPop technology works by canceling out certain waverlengths in the color spectrum to increase clarity and contrast. When it gets toward evening, or during particularly overcast days, I swap them out with a pair Low Light Ignitors, which admit a greater quantity of light than most fishing lenses while still maintaining the right amount of fish-spotting polarization.